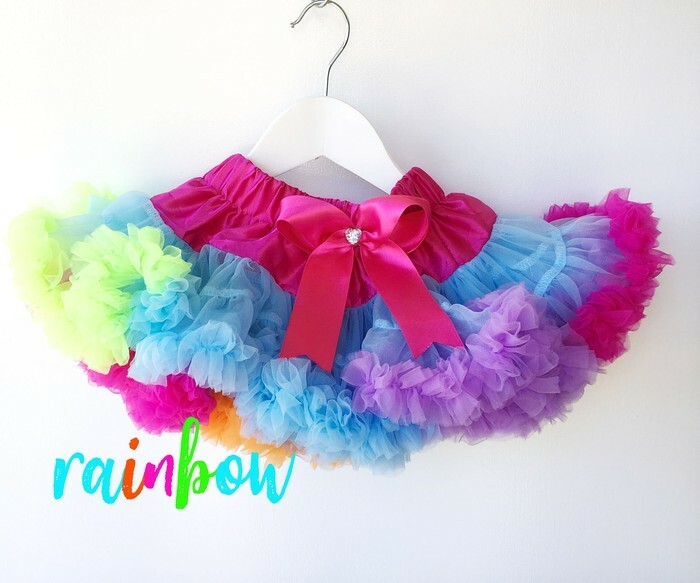 Fabulous & fancy these fluffy pettiskirt tutus are loved by little girls. Wear them to a party, dance class, picnics, high tea & for amazing photo shoots. 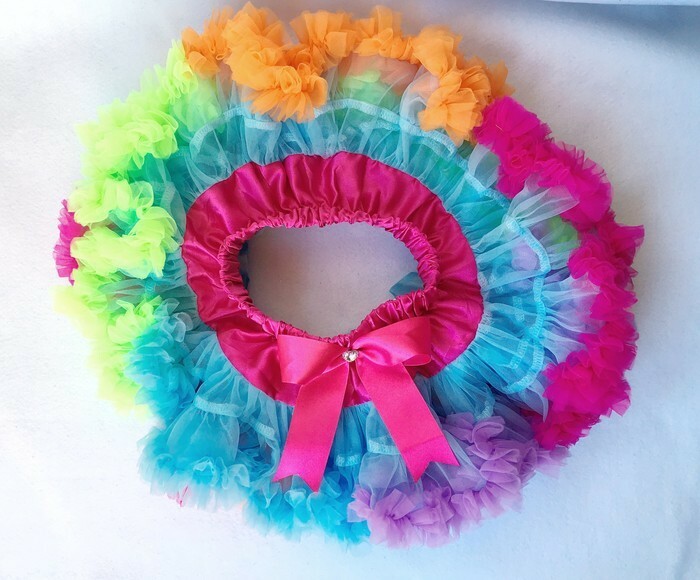 The pettiskirts are available in three sizes. S, M L Please let me know at checkout the size you need. The waistband is stretchy and your little one may get longer use than stated. Photos of children wearing their outfits are for display only. This listing is for one pettiskirt only. 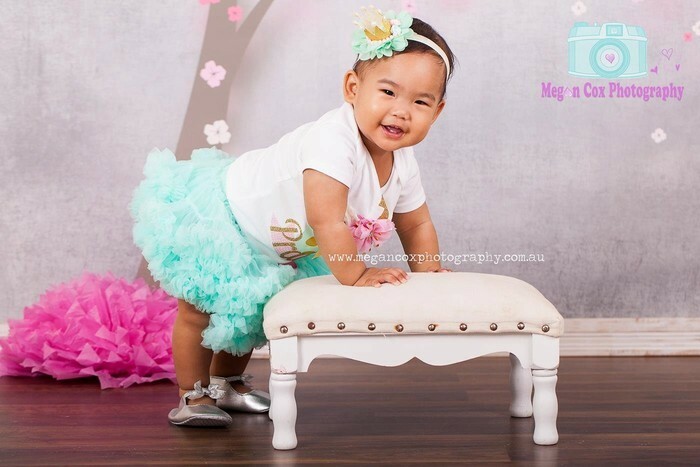 Lil Birdie is located in Australia. Shipping to the USA and other countries will take approx 10 - 15 working days once your item has been made up. Express post upgrades are available and you can choose these shipping upgrades at checkout. Please note that regular parcel post to the USA is not trackable. 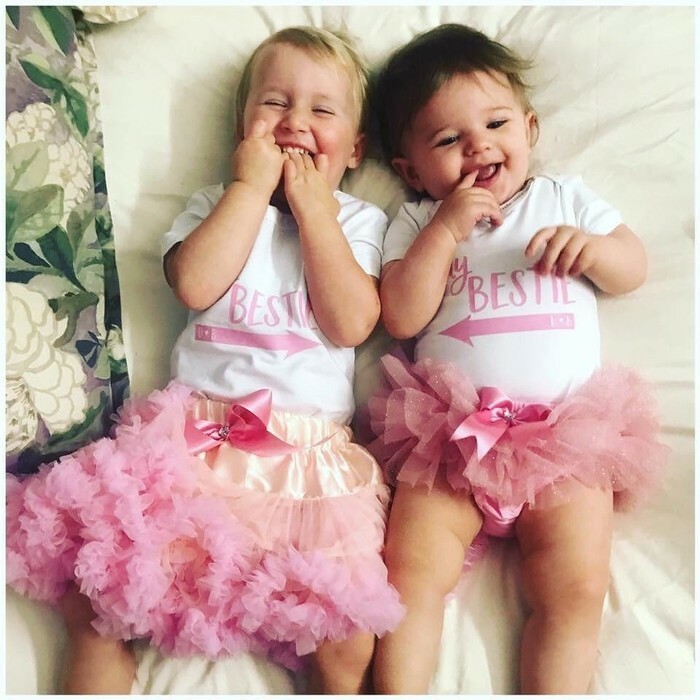 Thanks to www.hellomisspoppyseed.com for the adorbs pic. Bestie shirts available there too. All Lil Birdie clothing is made to order. Current production time is 4 -7 working days or as otherwise stated in my shop announcement on my main shop page. Please make sure you have allowed enough time for me to make and ship your order and have selected the Express Post shipping upgrade if you need your item delivered within 10 working days. Please email or message me if you are in a hurry so that I am aware of your need by date for the order. Please note that if you are purchasing as a 'guest' on Madeit that you won’t get any automatic shipping notifications and you will need to contact me directly to check on the progress of your order. Auspost shipping times are approximate and not guaranteed. If in the rare instance that your item is declared lost in the post and fails to arrive after 4 weeks then your item will be either replaced or refunded. On non personalized items you may return the item at your own expense if you have chosen the wrong size and you would like to change sizes, the original item needs to be returned before the replacement item is shipped to you. Please read the size guide in the item description and compare the weight and height to the correct size of the child you are purchasing for. My onesies are generous in size and it is preferable not to order a size up as the applique and onesie will look baggy. For further assistance please contact me via Madeit messages.